You must have heard of WordPress and be wondering what it is all about, whether you are just starting your business and just learning how to develop your Internet business or probably you have got a website but you just don’t like it. In short, WordPress is just a publishing platform utilized for building blogs and websites. WordPress that powers millions of websites all over the world allows for a highly customizable user interface. WordPress is money-spinning… it’s free! 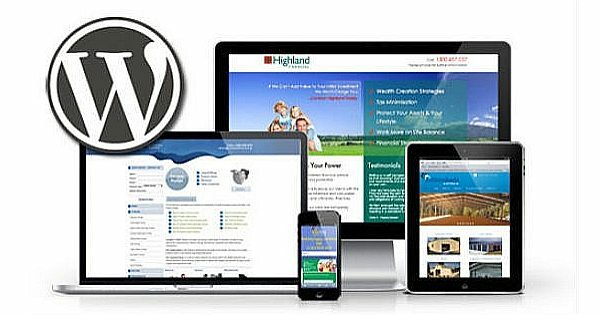 Having a custom CMS developed for you could cost huge money and it will perform the same function like WordPress. With WordPress, you will save some bulks because there is no need of reinventing the wheel as everything is freely available and customizable. One great thing about WordPress is that it is totally open source. This simply implies that the source code used in running WordPress is available to the general public. In other words, anybody under the sun can modify the code if required and even customize WordPress further to suit their needs. Due to the fact that WordPress uses well-written code, Google search engine loves it so much. Hence, WordPress is the way to go for your website or blog, if you are looking to get a head start with Search Engine Optimization. Adding fresh relevant content to your website is quite easy with WordPress. No wonder it is strongly recommended as part of your online marketing strategy as it gets search engines informed that your site is alive and well, which will increase the rank of your website as well as your chances of being discovered through organic searches. Interestingly, you don’t have to be a technical genius to understand how to use WordPress. Once you know how to use Microsoft Word, you will be able to update the content on your WordPress easily. In addition, you don’t have to be a website designer to get your content updated on WordPress. WordPress comes with an easy to navigate and effective backend administrator interface. All about WordPress is arranged in a logical manner and that is what makes it easy to find what you are looking for – editing or adding a page, post or article, managing users, uploading images and lots more. Without mincing word, WordPress is the best Content Management System to use to build your website! Are you thinking about the best platform to build your website on? WordPress is the answer. It is easy to use, SEO friendly, flexible and cost-effective.